What do I look for in make-up? Products that don't irritate skin and can be worn from day to night. 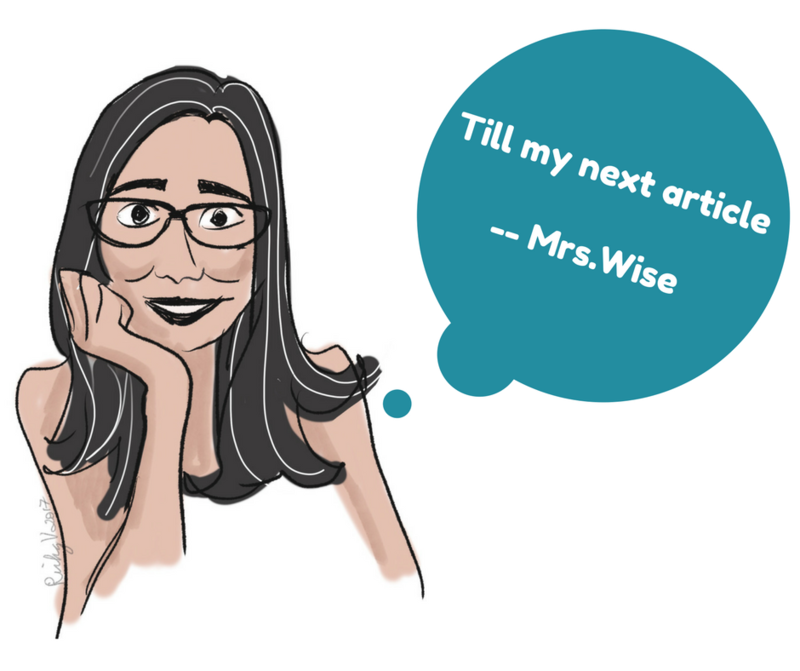 It is also a plus factor if the products are easy to use. Lo and behold, because I found the ideal products that is making my make-up routine very easy -- thank you to the new Althea make up line! 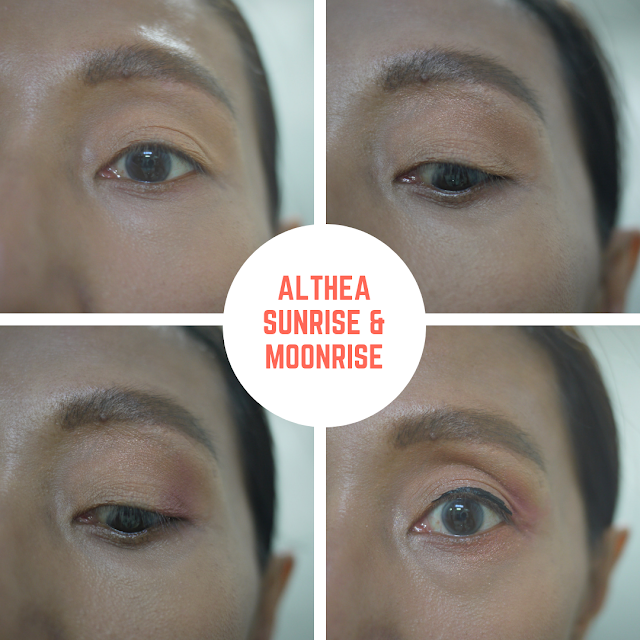 Welcome the new year with Althea's very first eye shadow palette: Sunrise & Moonrise! Made in collaboration with Bunga Citra Lestari, these 8 shades will take you from glam daytime to sophisticated night time. 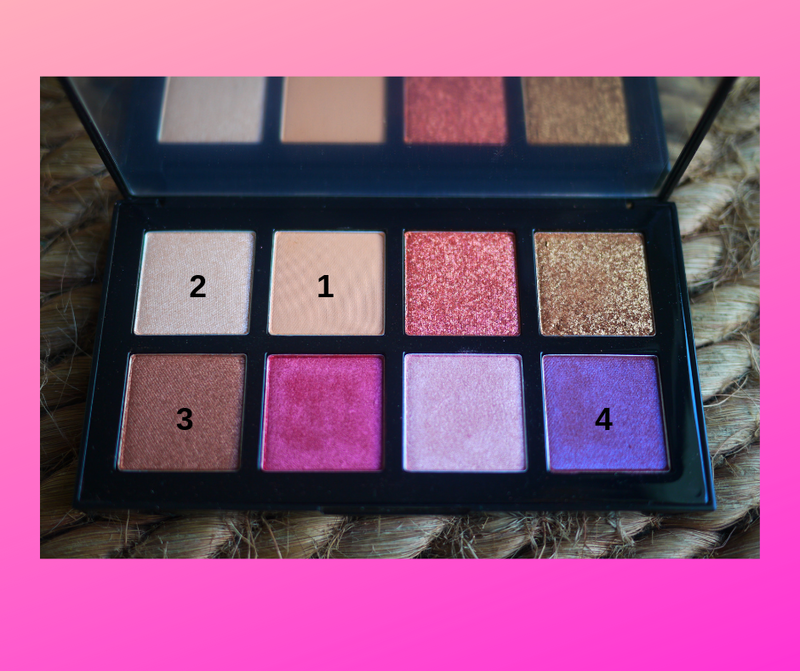 It comes in shimmers, mattes and glitters, which are very easy to blend and even out on skin. It works well on blush application, but you can use your finger too. These glittery wonders can be worn either as an eye shadow or a liner just to give your eyes a little glittery boost. Either in gold or pink light. Very easy to apply and dries real fast. No smear or smudge when dry. 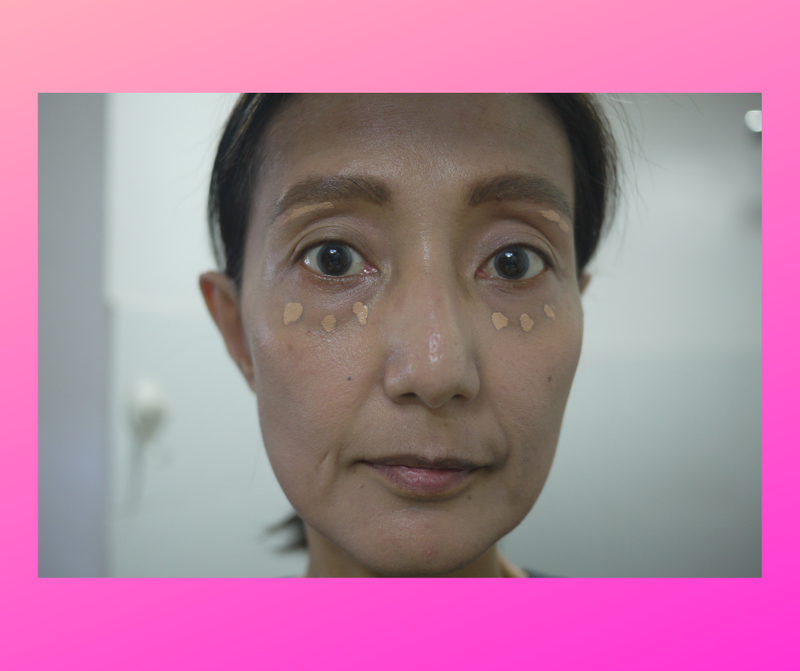 One make-up product that I cannot live without is the concealer, because of the dark spot under my eye. Tried a few ones, but I am liking Althea's flawless creamy concealer. It lasts me the whole day. And doesn't dry that sensitive skin under the eye. Of the four variants (vanilla, ginger, honey, mocha) the one that blends well on my skin tone is the mocha. 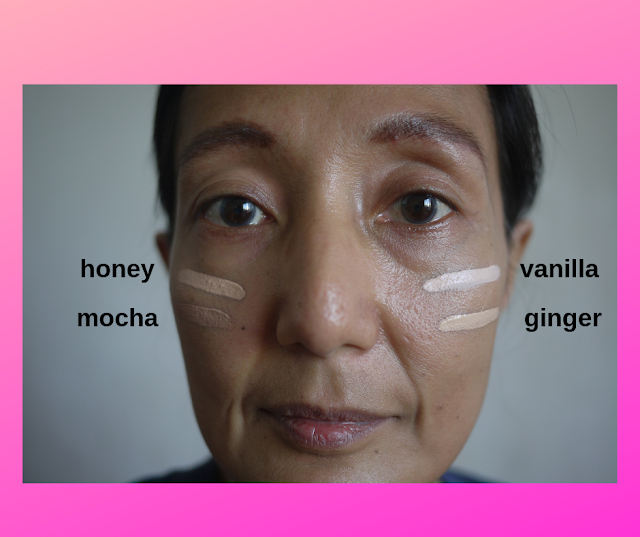 Proof >> when I took a photo of it on my face, the mocha variant seems to be non-existent. So perfect! I liked 2-in-1 products. 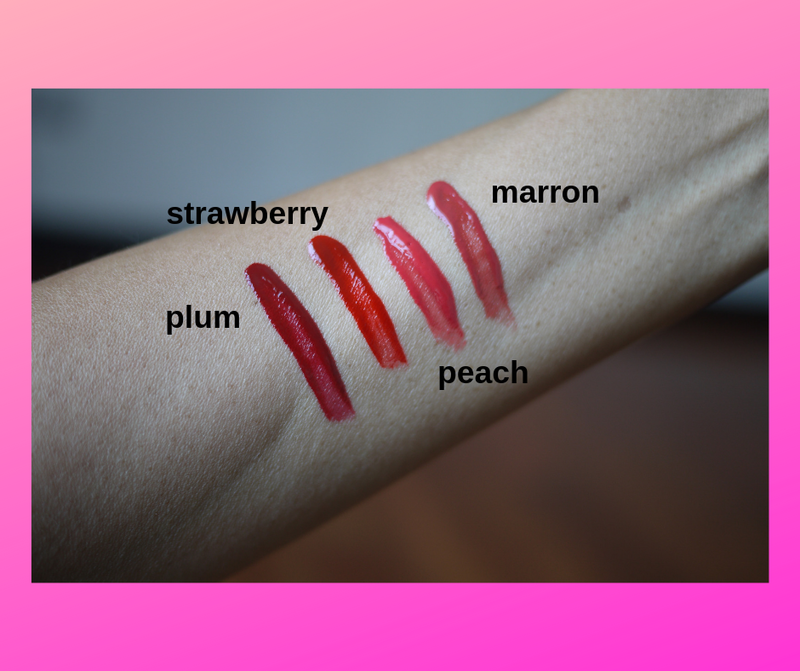 These watercolor cream tints doubles as a lipstick and a blusher. As a lippy, it offers the pigmentation of a lipstick and the long wearing power of a stain. And yes, it does remain on your lips for a long time. If you have blemishes, specifically pimple that you want to magically disappear, you should try this product. Apply onto your problem area and for it wait for it to dry. It protects the area allowing for makeup to be applied on without a trace. It contains tea tree oil to quickly aand effectively treat acne, while a mix of Centella and pine leaf extracts calm redness, treating acne while you’re out and about. Before I put on some makeup, I made sure that I wash and tone my face with my favorite Althea Bare Essentials. After that, I prepped by face with a BB cream. 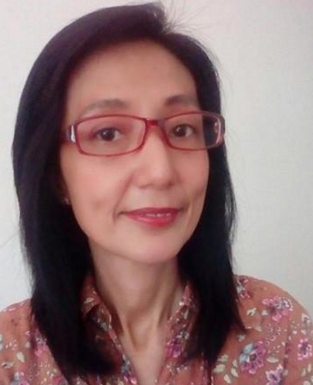 I like wearing BB cream because it is light, very ideal for daily use. I used the BB cream as my make up base. Next in line, I put on some concealer on my problem area -- my eyebags. I used Althea Flawless Creamy Concealer in Mocha. I used an eyebrow brush to line up my brow line with the concealer to - to make my eyebrows more distinct and defined. Using a sponge, I blended everything to even out everything. Then I lined my upper eyelids with black eyeliner to complete the look. For my lips, I used the Watercolor Cream Tint in Peach. To finish up the look, I just dabbed my face with Althea Korea Velvet Powder in warm beige. 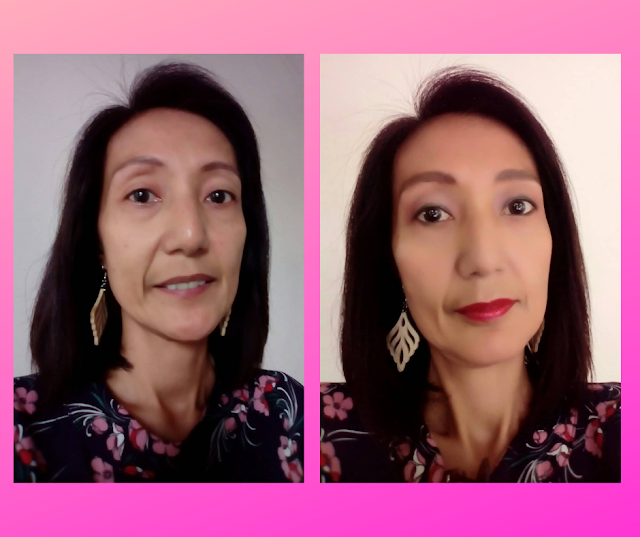 For my very first make-up tutorial, I think I am very happy with the look I created, made possible by the very good Althea Makeup line. Very easy to use, nice colors that can be mixed and matched. All these products are also very reasonable. Just head over to Althea Korea to check them all out. I am really one happy #AltheaAngel here. I got to try the newest Althea Korea make up line. That blends well with their other products. Althea now has a make-up line, bare essentials, sunscreen, detoxers, body sparkling mist >> and I am LOVING them all!